Partner, SIP Oriza Seed Fund Management Co. 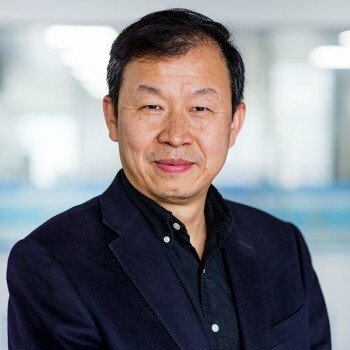 Managing Director, SDIC Fund Management Co., Ltd.
Chief Investment Officer, Prudence Investment Management Ltd.
Executive Director, Manager, Sany Innova Investment Management Co.
Dajun Yang, Ph.D., is the Co-founder, Chairman of the Board, and Chief Executive Officer of Ascentage Pharma. He has over 20 years of experience in cancer research and drug development and has co-founded and managed several biotech companies. 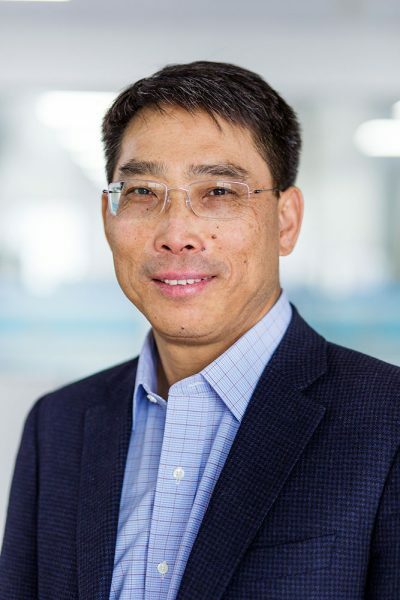 Prior to founding Ascentage, Dr. Yang co-founded US Ascenta Therapeutics in 2003, where he was a Senior Vice President of Research and Preclinical Development. In 2005, Dr. Yang established the Ascenta R&D Center in Shanghai and served as the first General Manager and as a member of its Board of Directors. Earlier, Dr. Yang built the biology and pharmacology team for S*BIO Ltd Pte, a Singapore-Chiron joint venture for which he served as the first Vice President of Biology. He was also a Managing Director for Morningside Venture Groups, a biotechnology- and healthcare-focused fund, and served as President & CEO of Stealth Peptides Inc. From 2002-2005, Dr. Yang also served as an Associate Professor of Internal Medicine in the Comprehensive Cancer Center at the University of Michigan. He was an Associate Professor of Biochemistry and Molecular Biology (June 1995 to June 1999) and Oncology (July 1999 to May 2001), and a Senior Investigator of the Lombardi Comprehensive Cancer Center at Georgetown University Medical Center. During his career, Dr. Yang has also taught part-time and supervised doctoral students at the Comprehensive Cancer Center of Sun Yat-sen University. Dr. Yang is the author or co-author of 83 publications and the inventor of 12 patents. He was a Co-founder, Chief Staff Writer and Editor of two national magazines in China, Chinese Medical Students and Family Doctors in the early 1980s. Dr. Yang obtained his Doctor of Medicine degree from Sun Yat-sen University of Medical Sciences, and received a Ph.D. degree in Genetics from Michigan State University in the United States. Edward Ming Guo, Ph.D., is a Co-Founder, President and Chief Operations Officer. He also serves as a member of our Board of Directors. 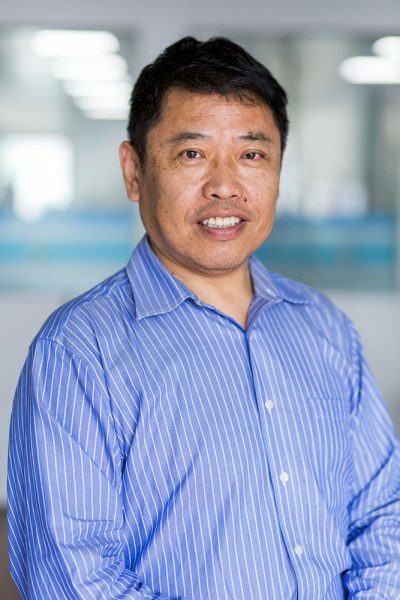 Dr. Guo has more than 20 years of experience in drug research and development, regulatory, project management, corporate management, strategic planning and entrepreneurship. Prior to co-founding Ascentage, Dr. Guo served in various technical and managerial roles at Pfizer. He worked at Ascenta Therapeutics as the Vice President of Pharmaceutical Sciences and Manufacturing from 2005-2010. He was an Adjunct Professor from 2007 to 2009 and has served as teaching staff as well as a supervisor for master thesis since 2009 at Peking University. Dr. Guo has also served as the independent director at Porton Fine Chemicals Ltd. (Shenzhen Stock Exchange). He also was the recipient of the “Special Contribution Award” from the China Food and Drug Administration, and has also served as the overseas consultant for Beijing Zhongguancui Life Science Park. Dr. Guo obtained a Bachelor’s degree in Chemistry from Peking Normal University and his Master’s Degree in Medicine from Peking Union Medical College. He received his Ph.D. degree in Chemistry from the University of California at San Diego. Yifan Zhai, M.D., Ph.D., our Chief Medical Officer, has over 25 years of experience in cancer research and new drug development. Over the course of her career, she has served in various roles at biotech and venture capital companies, including as President & Chief Executive Officer of Healthquest Pharma; General Manager of China at Apricus Biosciences; Chief Scientific Officer of Celladon Corporation, China; Executive Director of Anaborex (Shanghai) R&D Co.,Ltd. ; Chief Scientific Officer at Oncomax Acquisition Corp.; President of HealthQuest Inc.; Director at Exelixis; Senior Research Scientist at Bayer Pharmaceuticals; and Scientist at Human Genome Sciences, now GlaxoSmithKline. Early in her career, Dr. Zhai was the Biotechnology Fellow with Dr. Steven Rosenburg at Surgery Branch, National Cancer Institute. Dr. Zhai was the President of Chinese Biopharmaceutical Association-US from 2009 to 2010. She has authored more than 27 academic papers, and is currently a Director of Healthquest Pharma. 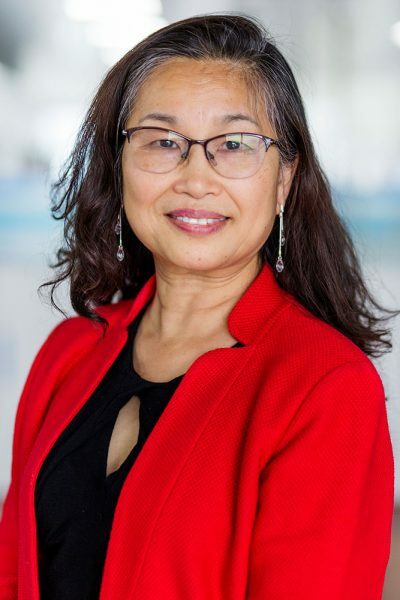 Dr. Zhai obtained her Doctor of Medicine degree from Sun Yat-sen University of Medical Sciences (renamed Sun Yat-sen University), and received her Ph.D. degree in Pharmacology and Toxicology from Michigan State University. 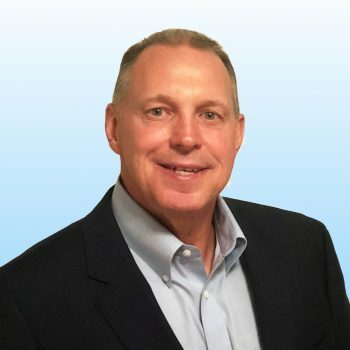 Jeff Kmetz, our Chief Business Officer, has over 25 years of global pharmaceutical and biotechnology industry experience. Throughout his career, Mr. Kmetz has held senior roles with increasing levels of responsibility in marketing, commercial and business development. Most recently, he served as Chief Business Officer at Pulse Biosciences, managing the Oncology development for the company’s Nano-Pulse Stimulation technology. Prior to that, he was Head of Commercial and Business Development along with Strategic Marketing at Pharmacyclics, where he was instrumental in formulating and executing the commercialization and life cycle management of best-in-class BTK inhibitor ibrutinib — the asset which prompted the company’s acquisition by AbbVie for $21 billion in 2015. Prior to that, Mr. Kmetz served as Director of U.S. Hematology Marketing at Alexion and led multiple initiatives in sales and marketing. Before Alexion, Mr. Kmetz was Hematology Business Unit Lead at Bayer, managing its hematology portfolio and brands. Mr. Kmetz holds a B.S. from Virginia Tech. 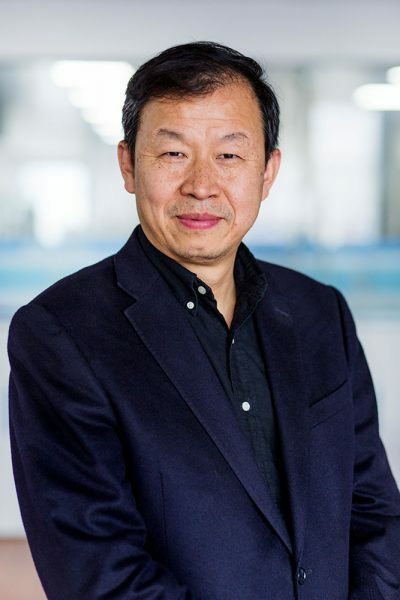 Shaomeng Wang, Ph.D., is a Co-Founder of Ascentage Pharma and has been Chairman of the Scientific Advisory Board since 2010. Dr. Wang joined the University of Michigan in July 2001 as a tenured faculty and is currently a Warner-Lambert/Parke Davis Professor in Medicine at University of Michigan, Ann Arbor, where he also serves as the director of the molecular therapeutics programs, cancer drug discovery programs, and therapeutics discovery program. Dr. Wang has also been the editor-in-chief of the Journal of Medicinal Chemistry since 2012. Dr. Wang obtained his Bachelor’s degree in Chemistry degree from Peking University, and his Ph.D. degree in Philosophy from Case Western Reserve University. 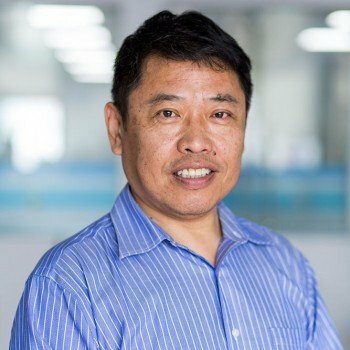 Yuan Tian, Ph.D., is the founding partner of YuanMing Capital, a healthcare specialty fund focusing on China-US cross-border investments with offices in Beijing and New York City. Prior to that, Dr. Tian established China International Futures Corporation in 1992 and served as Chairman from 1992 to 2007. He also served as the Chairman of China Chengtong Holdings Group from July 1997 to September 2002. He co-founded Wumart Stores in China in December 1994, and Yabuli Ski Resort in January 1996. Dr. Tian is the founder and has been serving as the Chairman of China Entrepreneurs Forum since 2001 and China-US Business Leaders Roundtable since 2010. He has also served as Chairman of the Investment Committee of the China Pharmaceutical Industry Research and Development Association since May 2018. He is the recipient of The China Economics Theory Innovation Award in 2011. Dr. Tian obtained his Bachelor’s degree, Master’s degree and Doctoral degree in Economics from Wuhan University. Qun Zhao, MBA, is a partner at SIP Oriza Seed Fund Management Co., Ltd., a venture capital investment firm. Prior to that, he served as a senior investment manager at SIP Oriza PE Fund Management. From October 2006 to February 2012, he worked at Shanghai Tasly Pharmaceutical Co., Ltd, and his last position was deputy manager. From January 1998 to October 2006, Mr. Zhao worked at Tasly Pharmaceutical Group Co., Ltd., and his last position was the manager of its quality assurance department. Mr. Zhao graduated with a Bachelor’s degree in Pharmaceutical Analysis from China Pharmaceutical University, and received his Executive Master of Business Administration from Nankai University. Simon Dazhong Lu, Ph.D., MBA, has more than 18 years of experience in the investment and consulting business. He is a Managing Director of SIDC Fund Management Company Ltd., a China-based private equity fund manager. From January 2008 to July 2009, Dr. Lu served as the Managing Director and a member of the investment committee of CEL Partners, a private equity firm. From September 2002 to December 2007, he was a partner of Shanghai Newmargin Ventures, a venture capital management company. Dr. Lu has also served as a securities analyst at China International Capital Corporation Limited, and as a financial analyst at Scotiabank in Toronto, Canada. Early in his career, he worked as an auditor and audit and business consulting supervisor at Arthur Andersen in Shanghai and Chicago. Dr. Lu graduated with a Bachelor of Economics from Nankai University, his Master of Business Administration from McGill University in Canada, and Ph.D. in Economics degree from Nankai University. Qian Liu, MBA, has been the Chief Investment Officer of Prudence Investment Management, a Hong Kong-based investment management company, since December 2008. He worked as a Director and trader in Global Markets at Deutsche Bank from October 2006 to December 2008, and prior to that, Mr. Liu worked for Morgan Stanley Investment Management, including as an Executive Director and portfolio manager. He graduated with a Bachelor’s degree in Economics from Wuhan University, and received his Master’s degree in Business Administration from the Wharton School of the University of Pennsylvania. Changqing Ye, CPA, MBA has over 25 years of experience in professional accounting, financial advisory and investment. From February 2011 to December 2015, Mr. Ye served as the Managing Director, Chief Financial Officer and a member of the investment committee of the China-based CITIC Private Equity Funds. From April 1993 to January 2011, Mr. Ye worked at the China office of PricewaterhouseCoopers, with his last position as the partner and service line leader of the firm’s advisory services and transaction services. Since May 2016, Mr. Ye has been a Director of Baozun Inc. Mr. Ye obtained a Bachelor’s degree in Journalism from Huazhong University of Science and Technology, and a Master’s degree in Business Administration from the University of Warwick in the United Kingdom. Mr. Ye is a certified public accountant of China. Zheng Yin, Ph.D., is the Executive Director and Manager of Sany. Innova (Beijing) Investment Management Co. Since August 2018, he has been serving as the Executive Director and Manager of Sany. Innova (Beijing) Investment Management Co., Ltd. He joined SDIC Fund Management Co., Ltd. as Executive Director and then Managing Director responsible for the pharma/biotech sector between August 2016 and July 2018. Prior to that, Dr. Yin worked as Vice Dean (July 2009-November 2011) and then Dean (November 2011-April 2015) of the School of Pharmacy at Nankai University. He also served as a professor at Tsinghua University. Earlier, Dr. Yin worked as Principal Scientist at Novartis Institute for Tropical Diseases Pte. Ltd., and as a research scientist at S*Bio Pte. Ltd. Dr. Yin obtained a Bachelor’s degree and Master’s degree in Science from Nankai University. He obtained his Doctoral degree in Chemistry from National University of Singapore. Wei Ren has over 15 years of legal experience covering onshore and offshore securities issues, China-related mergers & acquisitions and foreign investment. He is a Partner at Jingtian & Gongcheng and has been with the firm since 2003. Mr. Ren has been a Director of Beijing Dongcheng District State-owned Assets Administration Commission since January 2018. Mr. Ren obtained a Bachelor’s degree in Law and a Bachelor’s degree in Economics both from Peking University. He has been qualified to practice law in China. Allen S. Lichter, M.D., FASCO, is a prominent leader in the field of oncology, having served as CEO of the American Society of Clinical Oncology (ASCO) and the Conquer Cancer Foundation of ASCO from 2006-2016. He has been an ASCO member since 1980 and has held many prominent roles in the Society, including President and Founding Chair of the Board of Governors of CancerLinQ—ASCO’s health information technology platform. Prior to his tenure at ASCO, Dr. Lichter was a Dean of the University of Michigan Medical School (1998-2006) and the Chair and Professor of Radiation Oncology (1984-1998). At the University of Michigan Comprehensive Cancer Center, he also served as Director of the Breast Oncology Program (1984 to 1991), and was the first Isadore Lampe Professor of Radiation Oncology, an endowed chair, and the Newman Family Professor of Radiation Oncology. Earlier in his career, Dr. Lichter served as Director of the Radiation Therapy Section of the National Cancer Institute’s Radiation Oncology Branch. Dr. Lichter’s research and development of three-dimensional treatment planning led to a Gold Medal from the American Society for Radiation Oncology, and he is an elected member of the National Academies of Science. James O. Armitage, M.D., is the Joe Shapiro Chair for the Study of Oncology and Clinical Research at the University of Nebraska Medical Center (UNMC) in Omaha. Dr. Armitage played a critical role in advancing the field of bone marrow transplantation, launching one of the most successful transplant programs in the world for the treatment of blood cancers at UNMC. There, he held many leadership roles including Vice Chairman of the Department of Medicine, the Henry J. Lehnhoff Chairman in the Department of Internal Medicine, and Dean of the College of Medicine. Dr. Armitage is currently a director on the board of Tesaro as well as a member of numerous professional organizations, and formerly served as President of ASCO and as President of the American Society for Blood and Marrow Transplantation (ASBMT). He has authored or co-authored numerous articles, book chapters and abstracts, and currently serves on the editorial boards of several peer-reviewed journals. Arul Chinnaiyan, M.D., Ph.D., is a Howard Hughes Medical Institute Investigator, the S.P. Hicks Endowed Professor of Pathology and Professor of Pathology and Urology at the University of Michigan Medical School, and a member of the Comprehensive Cancer Center and Bioinformatics Program. He is a board certified Clinical Pathologist and currently serves as Director of the Division of Pathology Research Informatics and Director of Cancer Bioinformatics. His seminal research in functional genomic, proteomic and bioinformatics approaches to studying cancer has validated several important biomarkers of prostate cancer and been instrumental in redefining the molecular basis of prostate and other common epithelial cancers. Dr. Chinnaiyan is the recipient of several prestigious awards including the Basic Science Research Award awarded by the University of Michigan Medical School Dean’s Office and the AMGEN Outstanding Investigator Award and is also an elected member of the American Society of Clinical Investigation and the Association of American Physicians. Paul A. Bunn, Jr., M.D., is the James Dudley Professor of Lung Cancer Research at the University of Colorado School of Medicine in Denver and a founding director of the University of Colorado Cancer Center. He has over 30 years of experience in oncology research, and his studies in lung cancer have been instrumental in the treatment of the disease—specifically in identifying biomarkers of prognosis and therapy selection. Throughout his career, Dr. Bunn has been President of ASCO, IASLC, and AACI, Chairman of the FDA Oncology Drug Advisory Committee, and Executive Director of the IASLC. He is the author of numerous articles, book chapters, reviews and editorials as well as Principal Investigator on numerous national and local therapeutic trials and for the prestigious SPORE grant in lung cancer.